Ford continues its push to appeal to SUV buyers more than any other brand on the market with the reveal of the 2019 Ford Edge, which will follow up the Edge’s best-ever sales year with a host of new technologies that are new to Ford and new to the segment. Available on the 2019 Ford Edge are three new safety-focused features that will be standard or available across its trims: Post-Collision Braking, Evasive Steering Assist, and Adaptive Cruise Control with Stop-and-Go and Lane Centering. The latter of the three performs the same functions as typical ACC technology—namely, helping the 2019 Edge maintain a consistent and safe speed and following distance—while also helping to keep the vehicle centered in its lane. Evasive Steering Assist utilizes radar and camera to detect and help steer around slower or stopped vehicles at highway speeds, and Post-Collision Braking automatically applies moderate brake pressure after a collision to reduce the possibility of a secondary collision and the severity of injuries caused. 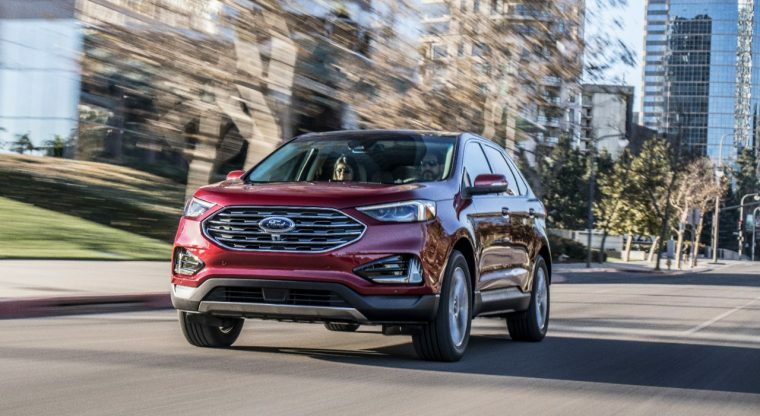 In addition to these features, the new 2019 Ford Edge will be offered standard with Forward Collision Warning and Dynamic Brake Support, BLIS with Cross-Traffic Alert, Lane-Keeping Alert and Lane-Keeping Assist, Pre-Collision Assist with Pedestrian Detection, AdvanceTrac with Roll Stability Control and Curve Control, 911 Assist, Auto High Beams, and Hill Start Assist. Available features include front and rear ultrasonic sensors, 180-degree front and rear cameras, and Enhanced Active Park Assist. Adding to the 2019 Ford Edge’s mantle as the smartest SUV Ford has ever built is a litany of entertainment and connectivity features. 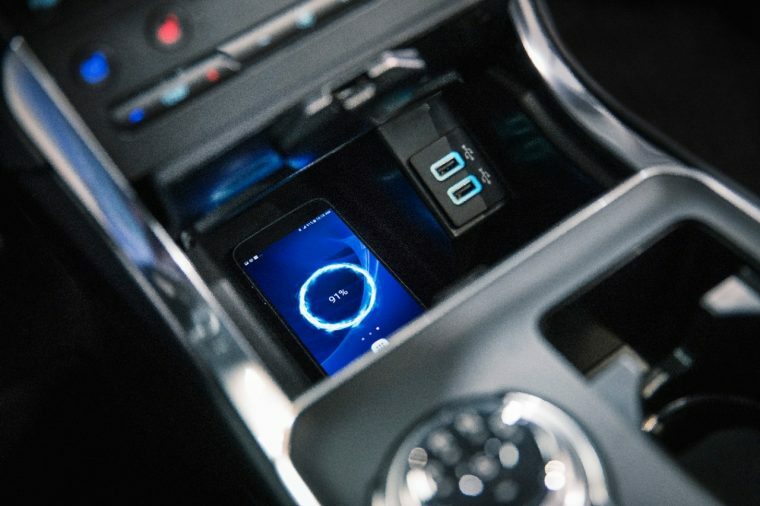 This includes FordPass Connect with built-in Wi-Fi hotspot, SYNC with AppLink, available SYNC 3 with eight-inch touchscreen, available wireless charging pad, and an available 12-speaker B&O PLAY Premium Audio System by HARMAN. In terms of performance—setting aside the raw exhilaration of the 335-horsepower Edge ST—the 2019 Ford Edge’s standard 2.0-liter EcoBoost sees a boost of five horsepower in addition to improved efficiency, thanks to an eight-speed transmission that utilizes Auto Start-Stop technology. The new and improved 2019 Ford Edge will be built at Ford’s Oakville Assembly Plant in Oakville, Ontario, Canada, and is set to arrive at dealerships this summer.